TDR Electric is a electrical contractor that focuses on customer service first and foremost. Our job isn't done until our client is completely satisfied. Our team of reliable and devoted electricians will be there the whole way through your project. We specialize in residential and commercial new construction and renovations. WireChief Electric offers a full range of electrical services and is determined to meet the needs of our clients with professionalism and efficiency. At WireChief Electric we listen to our customers in order to understand their needs and then we work hard to meet those needs. Honest Service. Expert Advice Clever Solutions. WireChief Electric prides itself on old fashion values of honesty, punctuality, mutual respect and cleanliness. We're not just expert electrical contractors. We're also trusted consultants with the knowledge and experience to save you time and money. 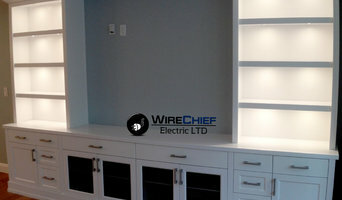 At WireChief Electric we offer electrical solutions that suit your home & suit your lifestyle. Unbeatable warranty: We offer a lifetime workmanship's warranty. Our Promise to You •We conduct ourselves with integrity, honesty and professionalism. •We have a 100% satisfaction guarantee on all work. •We provide safety by following the Canadian Electrical Code. •On Time Service. •No mess left behind. •Up-front pricing. Wenner Group of Companies For over 70 years the Wenner name has been synonymous with providing clients exceptional electrical, audio video, automation and security service for residential, business and large commercial projects. The Wenner Group of Companies that exists today is still the same family owned and managed business, with the same time honored cornerstone values; however like the world we live in, much of what we do in our daily business has changed. As a fully integrated electrical and technology business, we provide our customers with a complete range of services in the Residential and Commercial sectors, that enables us to do entire projects from design through to rough-in, finishing and ongoing monitoring and service or any individual step along this continuum. In order to ensure that the technology solutions we deliver are future proofed to the best of our ability, we have invested in forging relationships with industry leading providers and training our team to be experts at specifying, installing and commissioning these solutions. The intention of the Wenner Group of Companies is to be far more than an electrical, audio video and security company. We are a collective of talented and skilled individuals, who collaborate together to deliver technical solutions that simplify the lives of our clients. We are “Professional Technologists”. 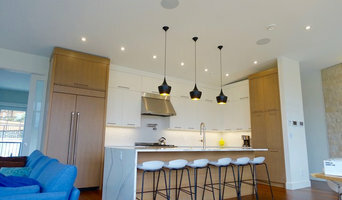 Spotlight Electrical is a greater Vancouver operated company that puts customer service above all else. Our belief is that a strong construction understanding paired with our company ethics allows us to always deliver for our customers. Wicks Electric is a team of highly-motivated professional electricians proudly serving the entire lower mainland. 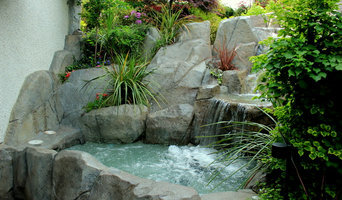 We are the highest reviewed electrical contractor in our beautiful province of British Columbia. At Wicks Electric our mission is to exceed client expectations on every project and to set the bar for a new generation of trades; professional, approachable, ethical and dependable. We are not your average electrical contractor – customer service is our number one priority. Our dedicated crew of electricians share the same vision of an exemplary experience for the client from start to finish and are committed to the Wicks Standard of workmanship, presentation and client care. From large-scale residential and commercial projects to service calls and small jobs our team ensures clarity, efficiency and quality at each stage of the project. Beginning with the initial site visit and detailed estimate through to completion and follow up. We are a proud member of the Greater Vancouver Home Builders Association, the Better Business Bureau (with an A+ rating), the North Vancouver Chamber of Commerce and we are also part of the Reno-mark team: a group that upholds the highest quality of workmanship and customer service standards in the building and renovating industry. We are grateful to be the in-house recommended installer for one of Vancouver’s premier lighting stores, Robinson Lighting and to have been hand picked by Tesla Motors as one of their recommended installers. Wicks Electric was the winner of the 2017 Top Choice Award and Gold Winner of 2017’s Best of the City. In 2017, we also received “Best Of” awards from Yelp and Houzz. We have over 100+ reviews online - every single one 5 stars. We are a family grown business built on the back of honest, courteous and reliable service. Our goal as a company is that on every project, regardless of size, our client is 100% satisfied with every step of the project and as a result we build a long-lasting business relationship. The professional staff at Wicks Electric will work with you to give you a clear understanding on the costs, reasons and benefits of making upgrades on your electrical and lighting systems today. Canbrit Electrical Systems was born when two co-workers both realized they had the same dream. A dream to build a solid, reputable, and hard working company from the ground up. Here at Canbrit, we value our customers, and thrive on excellence, meticulousness, and perfection. We picked the slogan "setting the standard" as our many years in the field have taught us that standards is a quality lacking in many places. We will go above and beyond to exceed your standards and expectations. Led by Owners and Operators Connar Marrington and Richard Carter, the next generation of electricians. We pride ourselves on our ability to adapt to any situation, accept all challenges, and will personally work with you to understand how you want things done. Your vision will become a reality when it is combined with our experience, knowledge, and cutting-edge solutions and technology. We look forward to building life long relationships with you. - Mobile Tek Electric has been in business since Oct, 2002. - Licensed Home and Property Inspector - Terry Horvey - WCB coverage - Lighting concept design and implementation Key points: - Attention to detail people, looks good, operates as it should, no electrical cut-corners (as I've seen), and the client is happy! Professional and Trustworthy Certified Electricians with a vast portfolio of experience in Commercial and Residential/Service work. Serving the Greater Vancouver Area. 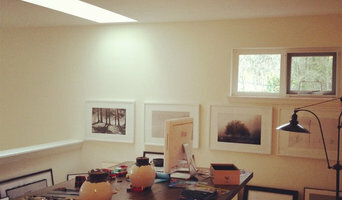 Our vision is to be the hub for your electrical design idea and create beautiful functional spaces. We pride ourselves in professional customer service and strive for quality craftsmanship with every project and repair. Connecting the line in between function and design. We are proud to provide the high quality electrical services to residential, commercial and Industrial customers on time within the reasonable price.